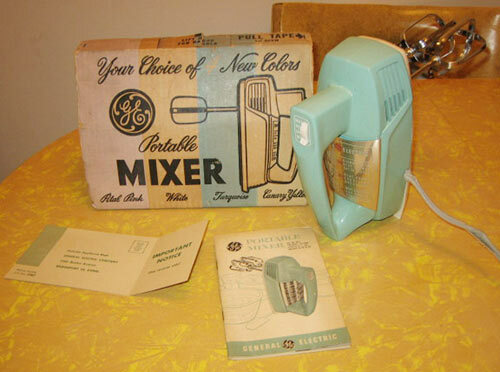 After looking through all 234 vintage small appliances in our recent uploader — I noticed that the readers of this blog have some pretty awesome mixers. Hand mixers and stand mixers in every color, shape and size seemed to pop up time and time again. 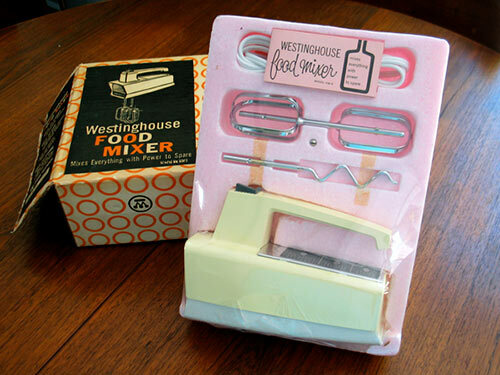 I was really amazed at the great condition of the mixers — like this impressive Westinghouse Food Mixer that appears to be “brand new in box” from reader Mid Century Living. 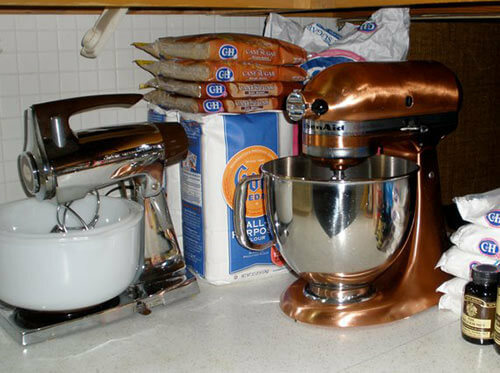 Christa C.’s aqua GE hand mixer may be the same style as Wendy’s collection — what a good looking piece of machinery. 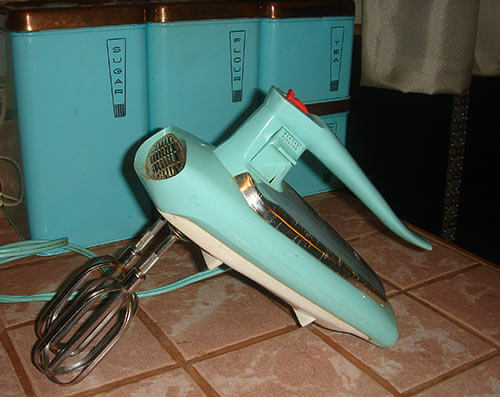 Above: Here’s another aqua beauty — a NOS GE hand mixer from readers Rob and Monica. 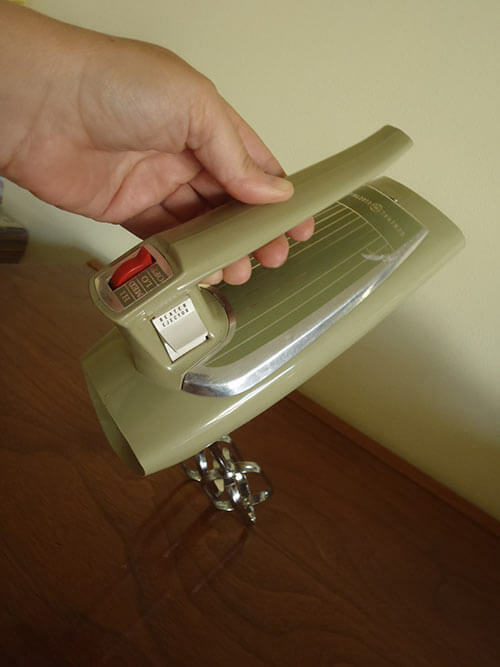 Above: Reader Elisabeth scored this avocado GE hand mixer at a thrift store for a mere $7 — she says it works like new. That said: Pam warns that she once got a nasty shock from a vintage pink mixer; you know our standard warning: Consult with a properly licensed professional when it comes to assessing old wiring so that you can make informed decisions. 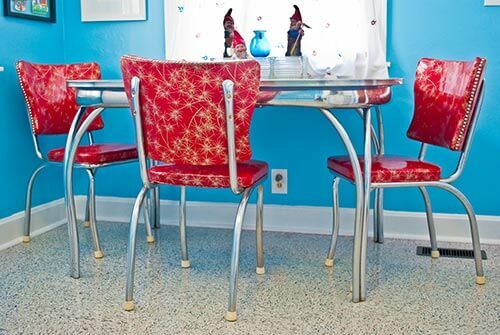 Above: Here’s a fancy chrome-lined Sunbeam mixer from reader Mary. Though hand mixers are more compact and easy to store — it appears to be just as tempting to collect full sized stand mixers. If you can’t decide which variety you like more — be like reader Lori and collect them both. 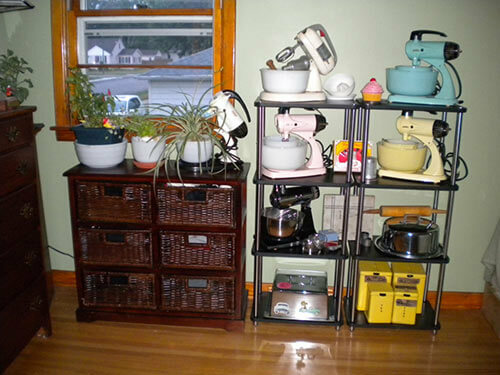 Lori warns that once you start it is hard to stop collecting vintage mixers. Above: Reader Claire must have the same addiction — she has so many stand mixers that she has had to start coming up with new uses for them. See that mixer under the window? It’s bowl is a home for a houseplant. Very clever, Claire. Above: Reader Ima Pam must have a lot of holiday baking to do — look at all those ingredients. Was she unable to decide if she wanted a new mixer or an old mixer — or does she have two because that’s what it takes to get all the baking done? 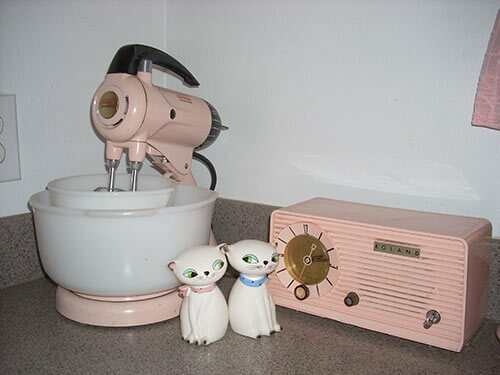 I just love Wendy’s pink mixer above — along with the matching radio and retro kitties. Apparently the pink vintage Sunbeam mixer was a bridal shower gift from a family friend, who dug it out of her attic when she discovered Wendy was planning to have a pink kitchen. How thoughtful. 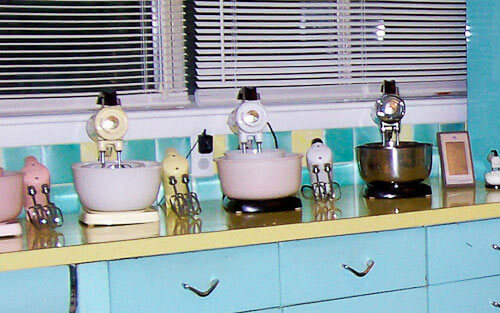 The mixer above is an amazing relic of early 20th century kitchens: Claire’s Fitzgerald Magic Maid — circa 1920-1930. This guy was definitely made to get the job done. Just look at those attachments — including the jadeite bowl and juicer. I know that jadeite fans will love this one. 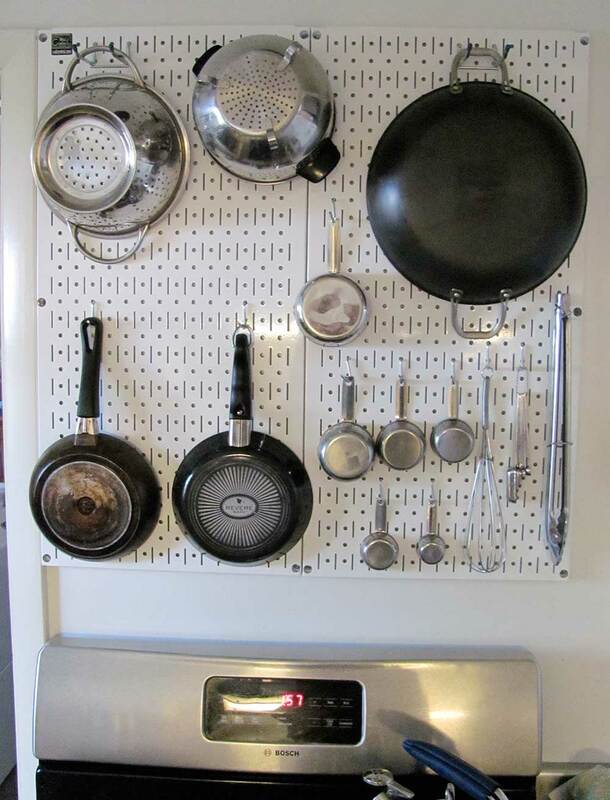 Lastly, the mixer above is my favorite of the bunch. Why? Because this mixer has family history. Reader Saundra A.’s Mom is the baby on the counter in the prized family photo. See that white stand mixer behind her? 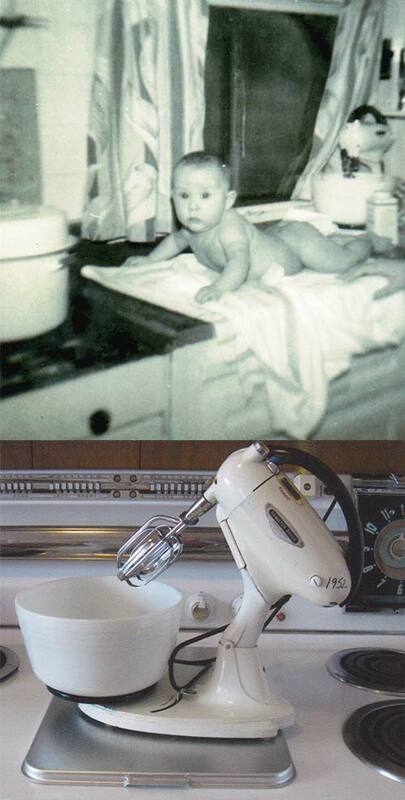 That is the same mixer pictured sitting on Saundra A.’s stove. 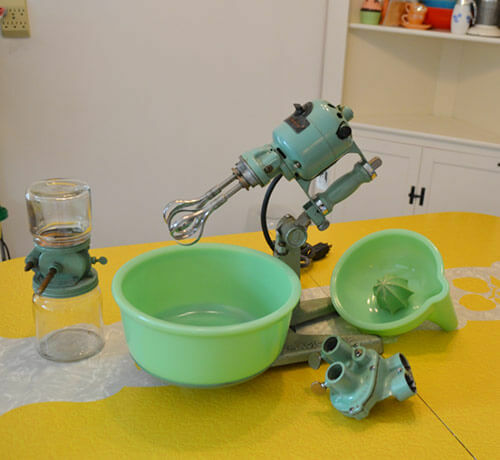 Not only did Saundra A. love and keep the 1952 mixer — but she says it also still works like a charm. Now that’s my kind of family heirloom. A super huge thanks to all the readers who participated in our small appliance uploader. I live in Australia and am cleaning out my garage. Have just found a vintage Janome hand mixer with beaters in its original box. I never even knew Janome made hand mixers and haven’t been able to find anything like it on the internet. It’s a vintage orange colour and made in Japan. Do any collectors out there know anything about this hand mixer and how old it is? I think it belonged to my partner’s mother who died in 2011 at the age of 95 – I would guess she used this mixer back in the fifties or sixties. Haven’t plugged it in to see if it works yet. Hi Alison, what a find. I am not an expert on this, but perhaps other readers are. Note, here in the states, Janome is not a known name in housewares [or anything], as far as I know. Hi Pam, thank you for your quick response. Sorry, I didn’t realise Janome (ja-nohm-ee) isn’t a known brand in the US. It’s a top brand of sewing machine in Australia. 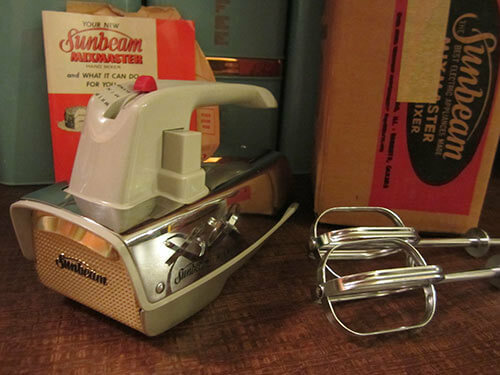 We also have Sunbeam and GE (mixers), but not Camfield, Palmer or Hamilton Beach (that I am aware of). I’ll try contacting Janome to see if anyone from the company has any information. Hi Alison, I have the exact same hand mixer. Janome orange. I received it as an engagement present in January 1976. I have used it almost every day, and just last week it gave up on me. I have been searching the net for a dealer in Brisbane, but most people only know Janome for their sewing machines. I feel lost without my faithful beater. Today I was given an 1930’s mixer creamer and it still works all I can find is a pat.no US 1859676 Made in Chicago and the inventor is Nachumsohn Irving. Its beautiful green glass measure bowl under the mixer. Might be 8 inches tall. Beautiful. 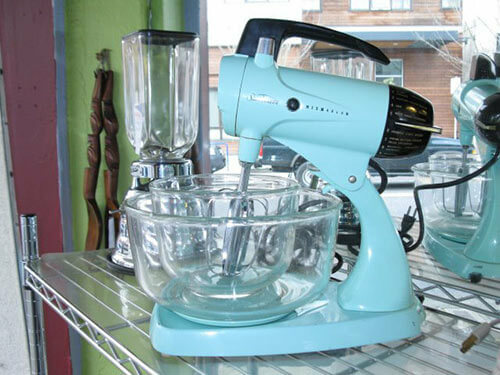 Do you know where I can buy a green/aqua sunbeam mixmaster? I’m trying to find one like my mother had when I was a child. 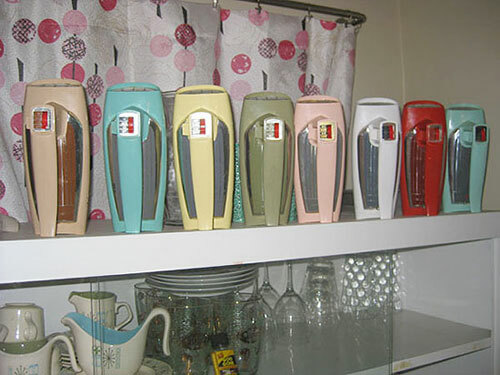 Nancy, either go for a new KitchenAid – they are made in many colors today. 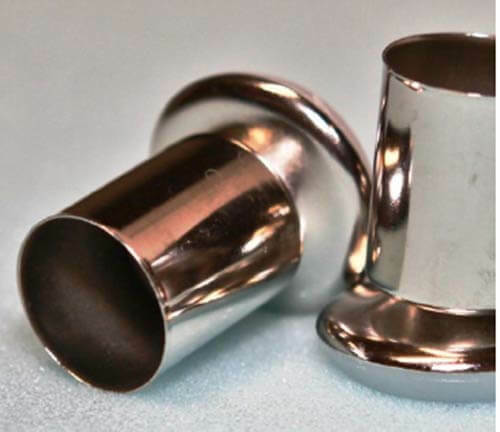 Or, for a vintage Sunbeam, start stalking ebay and etsy. Good luck. I inherited a Universal Mixer (Landers, Frary & Clark from New Britain, CT) from my mother, who inherited it from her mother. I’m 64 & I think the mixer is from the 40’s, but it’s just a guess. I’m wondering if you know whether these mixers from this time period might have had lead paint on the exterior. Mine has a lot of scratches & I’ve been considering having someone restore it for me. It works far better than a new one that froze up shortly after purchase. 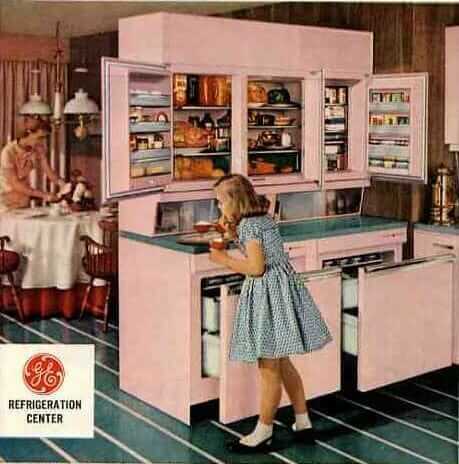 I just can’t find out what kind of paint they used on small kitchen appliances at that time & am concerned that it might not be a good idea to put it back in service. Does anyone know how to tell whether there might be a lead paint risk? Thanks! Hi Sherry, on this kind of question you need to consult with your own properly licensed professional. When it comes to hazards in old materials and products, you need to do your own research to connect with properly licensed professionals who can work with you to assess what you are working/dealing with so that you can make informed decisions how to handle.